Sometimes an umbrella simply isn’t enough. In many instances, homeowners want enough shade to cover entire patios or at least substantial portions or their outdoor spaces. And that is where retractable awnings come in. 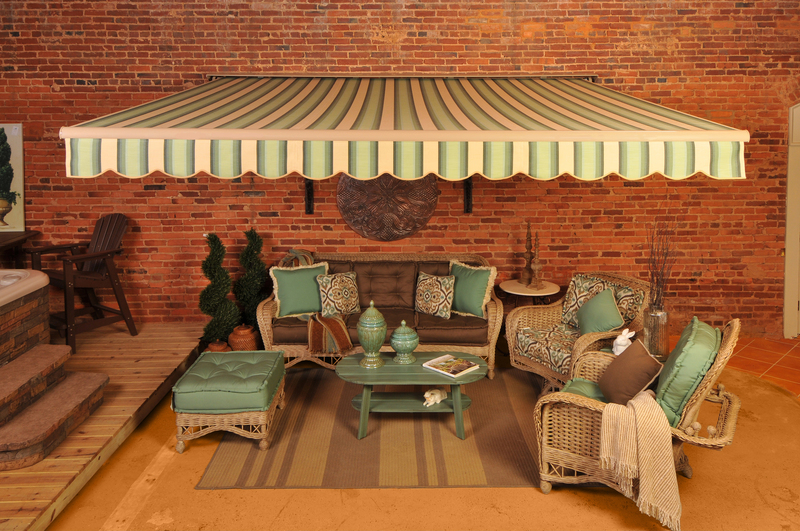 Awnings have become more stylish and efficient over the years and will provide ample shade for large areas. Not only do they provide shade on the patio, but they also keep those hot sun rays from getting inside the home as well. Solair, from Tri Vantage, introduced their residential retractable awnings in 2010 and things haven’t slowed down for the company since. Solair’s awnings offer a premium shade solution for customers in terms of flexibility and value. With these attractive awnings, customers have the benefit of adding shade inside their home and on their patio. Solair has also implemented design updates to several models as well as to the quick-ship fabric collection to ensure its awnings complement any style of home. Since 2010, Solair has partnered with 130 specialty retailers and it expects that to increase significantly with the 2012 season.